Have you googled yourself lately? What does the Internet search reveal about you? With each hashtag, blog post, tweet, and online project at a time, you’re building your online reputation whether you want to or not. In the absence of professional branding, your online persona brands you. Curation of our online personal data is more important than ever. This is because our online information and interactions are being used to analyze us for commercial benefit, credit ratings, job selection, relationships, health care decisions, harassment, law enforcement, and machine learning (Matsakis, 2019). I’m putting together a few basic curation tasks in the ‘recipe’ below for a class lesson. Curation, of course, will take ongoing effort. These are simple actions to get you started. Log out of all accounts to fully see information that you publicly shared. Use alphanumericsymbolic passphrases for strong login credentials (e.g., @T!mBuk2B42Long). Create different ones for different types of accounts. Consider the long-term impact of posting or otherwise reacting online. Subscribe to a technical news service that shares how to keep your data safe such as Mashable, TechCrunch or Wired. Search for your name on different Internet browsers (e.g., Google Chrome, Firefox, Internet Explorer, Safari). View at least the first three pages of results to find older accounts that you may have forgotten about and should close. Use Google’s reverse image search tool to see if your shared photos (e.g., headshot, Facebook profile, or wedding pictures) are used elsewhere without permission. For example, did you know that FB profile photos are publicly available? Anyone could be reusing or repurposing them. Set short and long-term goals based on your findings and personal insight. Set up a Google Alert on your name to stay informed of its mentions on the Internet. Cleanse unprofessional social media posts. For example, use GoCardigan to remove retweets and likes on Twitter. Why? Twitter users can delete their own tweets but not their reactions to others. Close compromised or unused online accounts to safeguard your data and reduce your digital footprint. Review Wikipedia’s list of data breaches. Recheck the list periodically. Tighten the privacy settings on your social media accounts. Please share your techniques and issues in safeguarding your online persona. 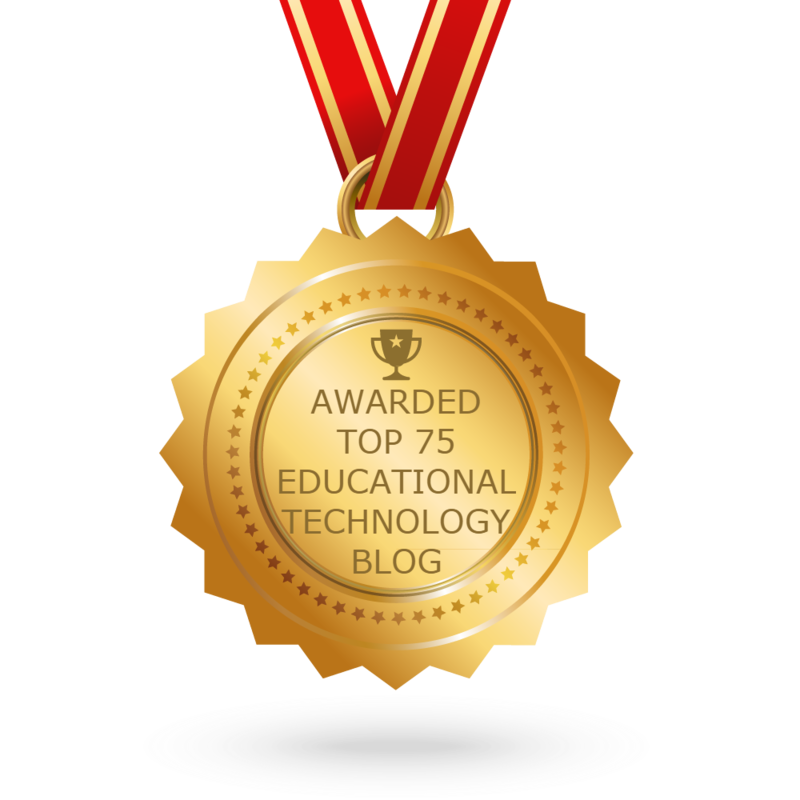 I’ll continue to add to this post as I dive deeper into this topic and as new technologies surface. I’m learning about new tech tools from my peers! After listening to a webinar today on PLNs, I realized that I often speak about various facets of personal learning networks but haven’t addressed them head-on. I’m a big advocate of PLNs because of their power to network with peers locally and globally. Additionally, I work from home, so I don’t have the more familiar hangout time with colleagues during breaks or at lunchtime when you would normally spend time discussing various topics. Instead, I’m more likely to attend a Google+Hangout or webinar to interact with peers in my field. Nowadays, I only see my peers face-to-face (F2F) at conferences. I just went back to school for my doctorate this spring, so now I’ll actually meet peers F2f but only during class on Monday nights! First, allow me to make my own distinction between these two terms: PLEs and PLNs. Personal Learning Environments (PLEs) are formed to provide a depository or “online treasure chest” of great ideas and tech tools that you or your peers discover. You can have a shared PLE or an individual one. Personal Learning Networks (PLNs) are formed to guide our independent or group learning goals and professional development needs within a dynamic flow of information from our peers’ discoveries or that of our own. In my opinion, PLEs are more controlled by the individual or group and therefore static, while PLNs are more dynamic with input and output occurring from a networked community of learners. Paper.li is a twitter app that allows you to aggregate your twitter followers into an e-newspaper. The possibilities are endless. I noticed that besides compiling your twitter feed, it also will siphon your facebook feed . . . that is, if you want it to! “Feed” in this context refers to your followers or friends comments, articles, photos, and links. 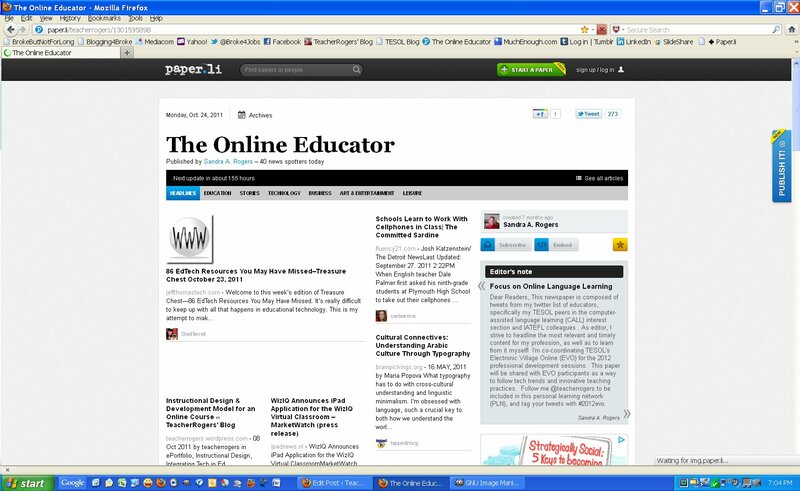 Paper.li could be the next best thing for social networking for learning communities. Imagine what you could do with it for your school or project!